Ostrozac Castle is located just outside the town of Cazin, near the village of Ostrozac. 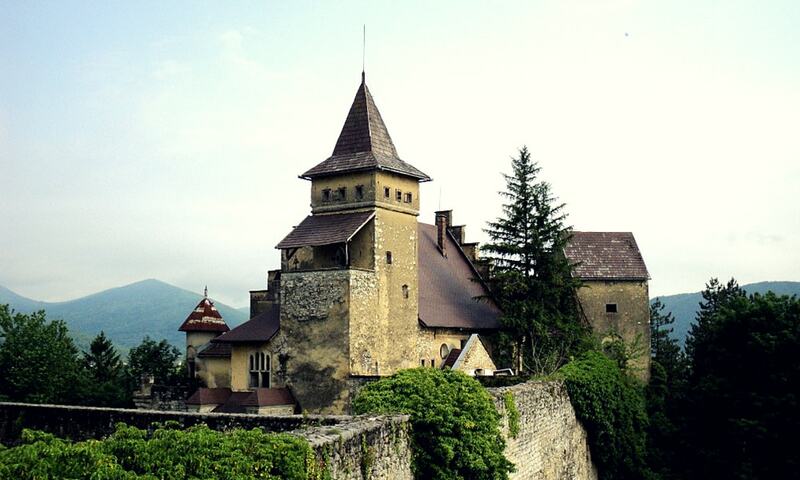 The castle dates back to the 16th century when the Ottoman Turks established the Ottoman province of Bosnia. A second addition was made to the castle between 1900 and 1906 by an unconfirmed member of the Habsburg family. Ownership of the castle is still disputed, but citizens of Cazin and Ostrozac are permitted to use the castle grounds local concerts and entertainment. The castle is slowly being repaired and it is rumored that it has been sold by the government to a private owner.